At this point, most consumers are aware of the importance of plastic recycling. Plastic products are used extensively worldwide and constitute a threat to the environment once they have outlived their usefulness. Now, you’re unlikely to see a lot of Craftech products clogging up landfills. Craftech’s plastic fasteners are made to a very high technical standard and constitute only the tiniest fraction of plastic products being fabricated worldwide. Much more common are plastic household appliances, plastic battles, bags, etc. Recycling is the most viable method by which waste plastics can be regenerated into useful products. In the USA, recycling is carried out both by individual consumers and by companies in the plastic manufacturing industry. In short, not enough. The amount of post-consumer plastics recycled has increased every year since 1990. However, the recycle rate still lags far behind that of other products such as newspaper (80% recycled) and corrugated fiberboard (70% recycled). In 2012, 32 million tons of plastic waste were generated, only 9% of which was recovered for recycling. The USA currently has a greater capacity for recycling than it is currently using. The infrastructure already exists to sustain a growth in plastic recycling, which is a great thing! One of the greatest challenges in plastic recycling is actually getting companies to invest in recycled plastic. If there’s no economic value in using recycled plastics then there won’t be any demand. For more than a decade, a large percentage of recyclable plastic products were actually recycled in China. When recyclable products arrived in China, some were recycled but some were too contaminated for processing, meaning they were covered in food or mixed in with other materials. 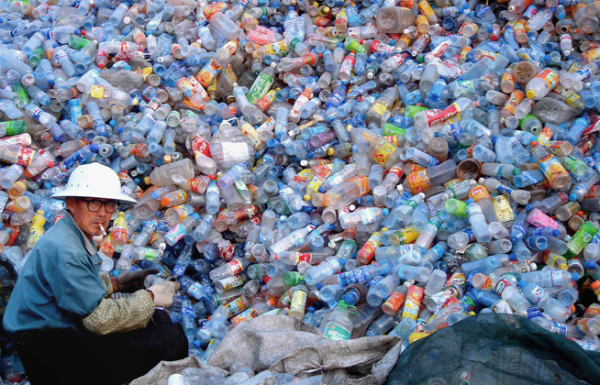 These “contaminated” plastic products ended up in Chinese landfills. In 2012, China put its food down on this practice by passing a new policy called the “Green Fence.” Now, contaminated shipments were being turned away from Chinese harbors, resulting in lost revenue and shipping fees for American exporters. Despite this initial setback, many industry professionals are optimistic about the long term consequences of China’s new policy. The policy is forcing the recycling industry to make greater efforts to clean and sort recyclables, creating a higher quality product. Also, since no one will accept contaminated recyclables anymore, American recycling companies have a chance to step up and be competitive with China. Since China enacted its Green Fence policy, plastic waste from codes #3-7 is largely being put into landfills. PET, the material most plastic bottles are made out of, is recycled into fiber for carpets, textiles, and clothing. 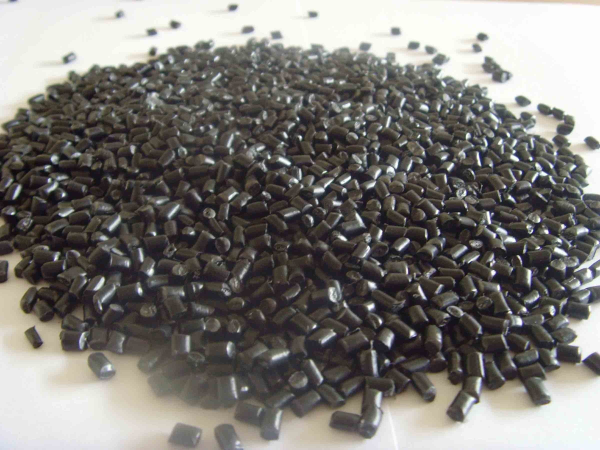 Recovered HDPE can be manufactured into recycled landscape and gardening equipment such as lawn chairs and fencing. Recycling reduces waste materials from plastic manufacturing companies from entering landfills and also cuts down on the oil usage as well as emission of gases like sulfur hexafluoride, chlorine dioxide, nitrogen oxide and carbon monoxide. This results in a cleaner planet and less pollution. Recycled resin is also much cheaper than new. The world of plastic recycling is still very much in flux. Hopefully, China and the USA will be able to find a way to economically recycle enough resin to produce the raw material needed for manufacturing new goods. Industry experts all seem to agree on one thing, though-a solution will take time. 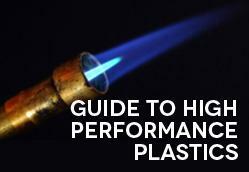 Interesting in learning more about high performance plastics? Check out our free Material Guide!